Panel Master is the premier manufacturer of electrical and pneumatic control panels in Northern Ohio. We specialize in providing industrial electric and pneumatic control panels to a wide range of manufacturers. Our customers include large Fortune 100 companies, machinery builders and leading system integrators. Our customers come to us for our attention to detail and consistent quality. When selecting a partner to build your controls for your project, quality is critical. Panel Master's strict quality control procedures assure a quality result every time. We are a UL 508 certified production facility. Our processes, procedures and quality management system are ISO 9001:2000 compliant. We stand behind our work. We provide a 1 year warranty on workmanship and stand behind the manufacturer warranty on all components. Quality procedures are strictly enforced. Every control panel we manufacture is 100% tested to assure that it operates as designed when delivered. Panel Master has performed projects in a broad range of industries. This experience allows us to better understand the requirements of your unique application and environment. Panel Master is a Rockwell Automation System Integrator (RASI) partner. As Rockwell states "Rockwell Automation System Integrators and Solution Providers are recognized in the industry as best-in-class organizations". As a Rockwell Automation System Integrator, Panel Master has access to all of Rockwell's technical resources and their full development library. This also provides us special pricing that can help to keep your projects on budget. As a Siemens Panel Builder, Panel Master is part of an elite group of panel builders who have the product knowledge and factory support to help you with your Siemens Automation projects. Let us show you the Siemens difference. We are recognized as an Authorized IDEC Automation Partner. Every panel we build is assigned a project manager who will guide it through the production process and assure that it has our full attention, no mater how small or large the project. Price is an important factor when selecting your controls partner. When you combine it with Quality, Service and Experience, the result is value. With our purchasing power and experience, we understand how to maximize value for our customers. Ask us and we will be glad to show you how. 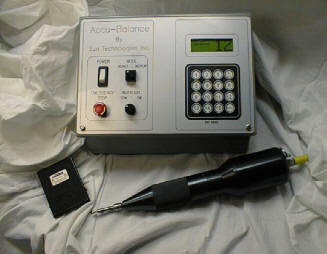 Custom stainless steel operator control console..
Accu-Balance winder and custom designed control . Control system for landfill flare management. Copyright © 2013 Panel Master LLC. All Rights Reserved.